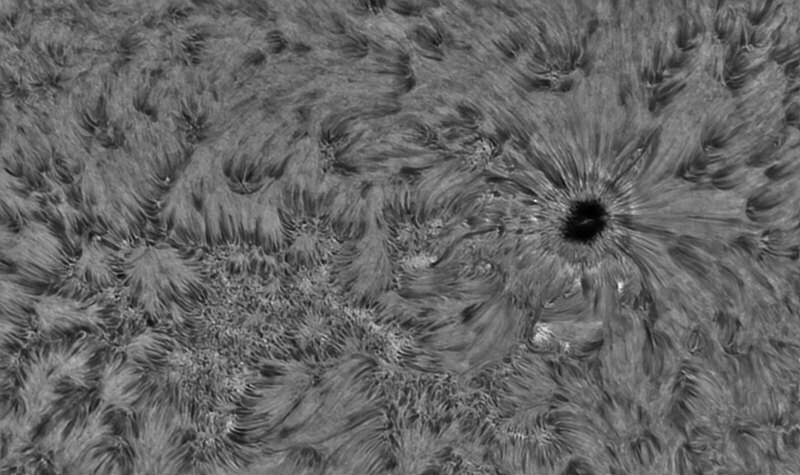 AR2738 in Ha April 13th 19th - SolarChat! 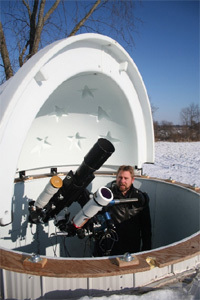 Another beautiful morning and another opportunity to image AR2738 with my 150mm/DS Lunt 35 mod. 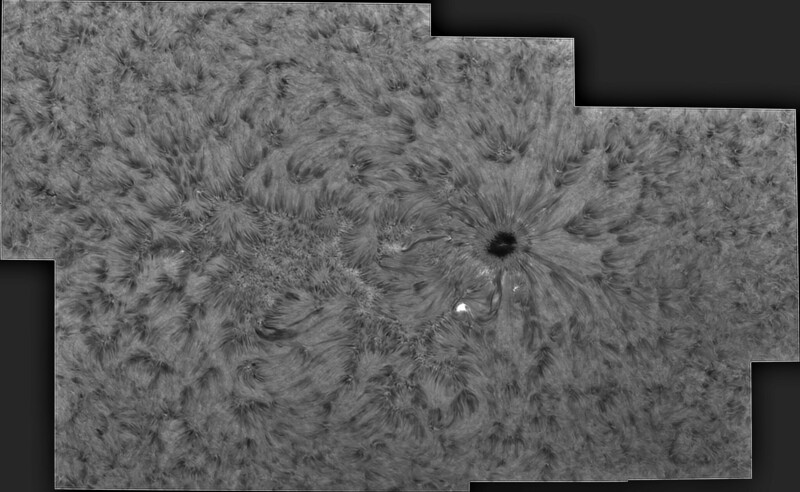 Note the small flare in the second image and the filament tendril linking it to the sunspot's penumbra. It only lasted a matter on minutes before melting away. There's also a developing light bridge. Beautiful results, Stu, your mod works really fine. The bridge is clearly visible. Excellent images Stu! Glad the sun was shining for you! Great images, Stu ! The first one is very 3D. Nice little flare and great mosaic. It shows the region of activity quite well. Thanks, Stu. Many thanks, everyone. A bit more cloud here today. We’ll have to see if it’s clear enough for any further imaging.